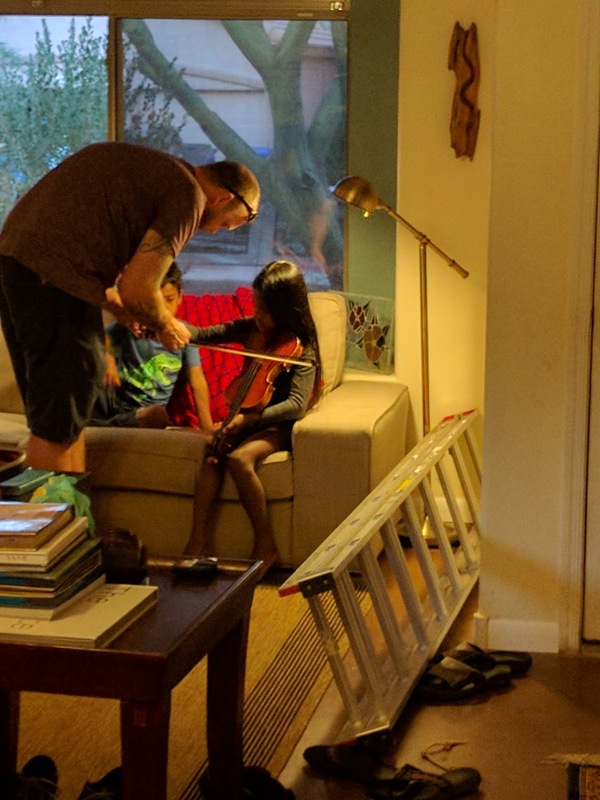 Towards the end of the summer, Sky started asking to learn to play the violin. While she's always loved to listen to music, she's never expressed a desire to play an instrument herself and because of that, we held off on lessons until we were sure it was something she really wanted to do. She asked several times and even said she still wanted to do it after I told her how much she would have to practice every week. She takes lessons every Sunday afternoon and is slowly learning how to play. Lesson time has become her one-on-one time with D which is hard to come by in a family the size of ours, so it's pretty special. 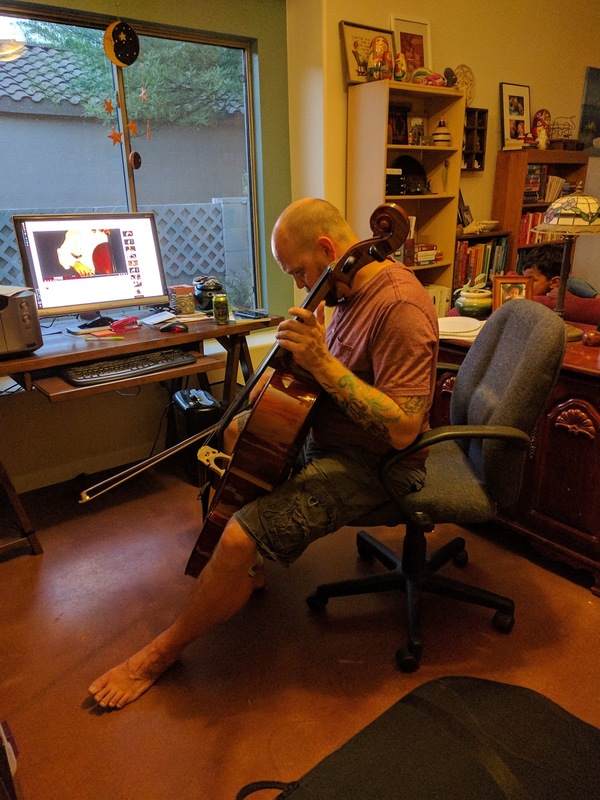 D has been wanting to start playing the cello for several years and decided to rent one and take lessons while Sky is taking her violin lessons. He's very musical and is picking it up quickly. The kids love to listen to him play and will sneak out of bed to listen while he practices. 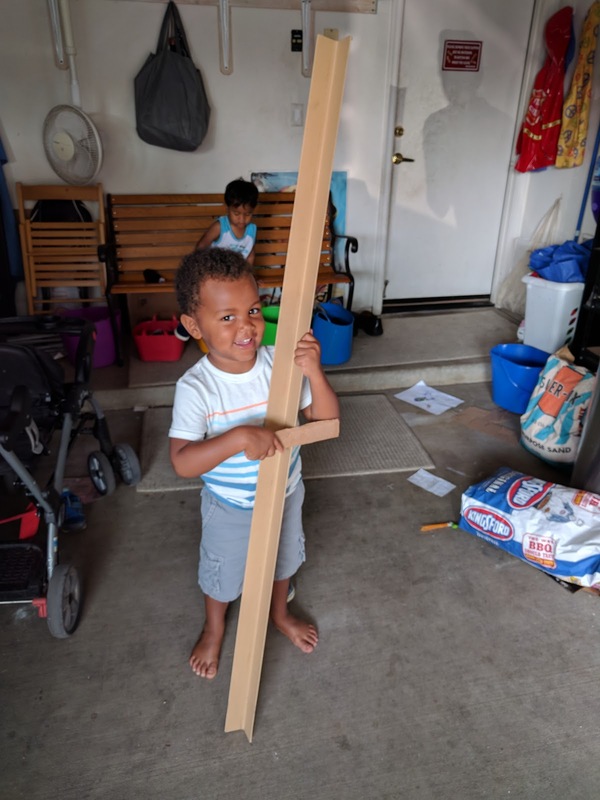 If D does something, it becomes the thing to do around our house. Water's new favorite game: cello practice!